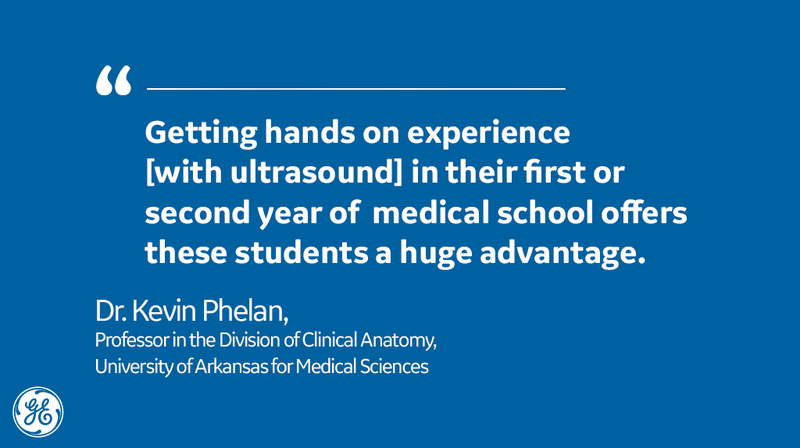 When Dr. Phelan stood in front of the freshman class at a high school in Little Rock, Arkansas and asked how many students had seen an ultrasound system, many hands shot up. However, when he asked if they knew how an ultrasound worked, the room went silent. Dr. Kevin Phelan, a professor in the Division of Clinical Anatomy at the University of Arkansas for Medical Sciences (UAMS), has a passion for STEM in local schools – and that means getting students excited about imaging technologies, specifically ultrasound. With the help of a five-year grant called the Science Education Partnership Award (SEPA) from the National Institute of General Medical Sciences, Dr. Phelan and his colleagues created the ArkanSONO program in collaboration with the Little Rock School District in central Arkansas to do just that. Dr. Phelan teaches the students about sound and frequency to introduce echolocation — the idea of emitting sounds inaudible to humans and listening to their reflections to make sense of the environment. Today, that natural principle is the basis of many modern technologies. Sonar allows submarines to avoid collisions and find targets, radar guides planes in the air, lidar helps self-driving cars “see” the road, and ultrasound assists doctors in saving lives. 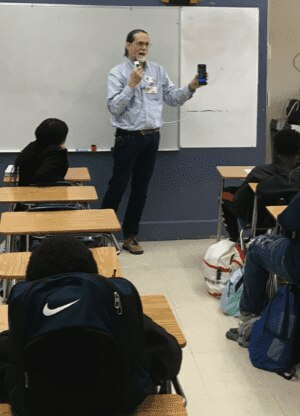 Equipped with a Vscan Extend pocket-sized ultrasound, Dr. Phelan takes the students “inside the body” to show images of the neck and forehead, and to see how veins collapse and expand. 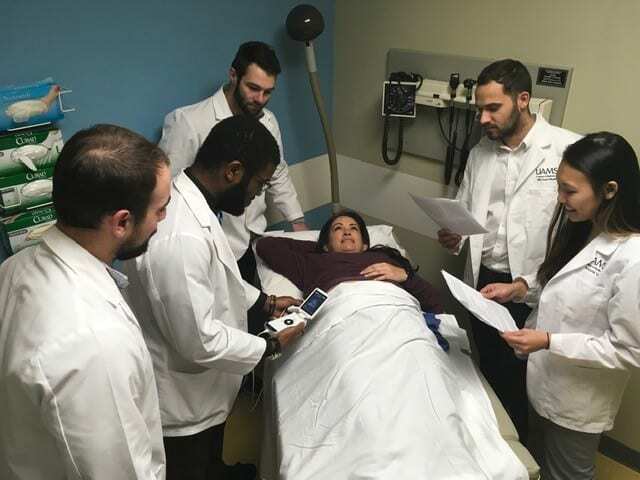 A decade ago, ultrasound was strictly used in hospitals or a clinical setting, yet more and more, ultrasound is used in other settings, including in the classroom. In fact, Dr. Phelan also uses the Vscan with Dual Probe as part of his curriculum with medical students.